Josef is called Yosef Hatzadik - the righteous, on account of his mastering over his temptations when he was tested with the wife of his ruler Poteifera. 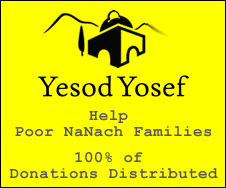 Even still our holy Sages revealed that 10 drops of seed escaped from Yosef, these seeds had the potential of being another 10 tribes, and so Yosef's two sons, Efraim and Menashe were given the status of tribes, and had he held back the wasted seed, he would have had another 10 tribes, just like Yakov his father (who never had any wasted seed what-so-ever). These wasted seed sent great holy souls into deep unholiness, and such great souls as the Ten Martyrs (Rabbi Akiva and his contemporaries) were murdered in order to atone and free these holy souls. The Arizal revealed that many other great Sages had to be killed for this purpose. The question is, Yosef was only 18 years old when this occurred, and he lived another 90 years afterwards with great piety and holiness, certainly he was aware of the damage he had caused, why didn't he rectify it. From here we can gain an impression of the severity of sin, it isn't so simple to just rectify the damage of sin (even still today when we repent it is very very special, because of the total devoid of holiness today, when a person actually repents, this is very very special and powerful). There is another factor to reckon why Yosef didn't rectify the ten seeds. There was a great Tzadik in the time of Rabbainu, who Rabbainu considered the real thing, one of the first admurs (hasidic masters) to conduct a court with royalty, R' Shalom Shachne (the father of R' Yisroel Rhizhiner), R' Shalom Shachne said of himself that he had no time to repent, he was to busy serving HY on a higher paradigm. He gave a parable to a high ranking minister of a King who does very valuable services for the King and can not be bothered with small infractions which might hinder his missions. This concept is something very deep, and does not pertain to most people. In fact Moshe Rabbainu himself is called in the Zohar - Murra Ditiyuvta - the Baal Teshuva - the Master of Repentance. Repentance is very very high. Even still we have a glimpse at great Tzadikim who had devotions of HY above our comprehension. Such was the life of Yosef Haztzadik who was serving HY for 90 years in ways we can't fathom. (also pertinent to this discussion is what Rabbi Nussun writes regarding the repentance of Adam, that although he was not successful at restoring the world to it's state before the sin, he brought great rectification making it much easier for subsequent generations of Tzadikim). Today we have the Holy Petek, we are most fortunate, fortunate are those who grasp the Holy Petek of Na Nach Nachma Nachman MeUman!